Churros con chocolate was such a big deal to me as a kid. When we would celebrate Spanish day in school, eating churros was the main highlight for me. I don’t even remember what else we did on that day but eating churros was my was of honoring it. I’ve been craving for some good churros for some time now and I think I’ve found my favorite. 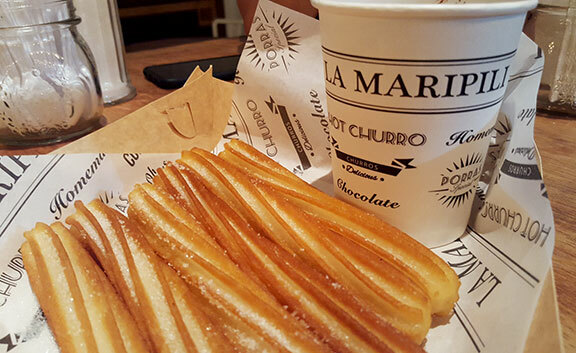 I like my churros a little on the thinner side; with a nice crunch in the exterior but with a light, fluffy interior. I’m happy to have found La Maripili at the new ATC Corporate Center in Alabang. 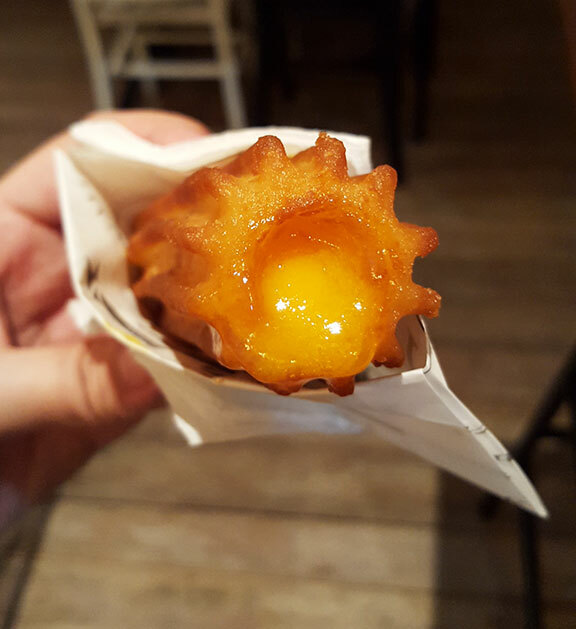 They make their churros just the way I like it – thin, crisp and not at all oily. Their chocolate is made from locally sourced cacao: just the perfect dark chocolate for dipping. The flavor from the chocolate stands out. Not like some who try to thicken their chocolate with starch and makes it taste chalky. 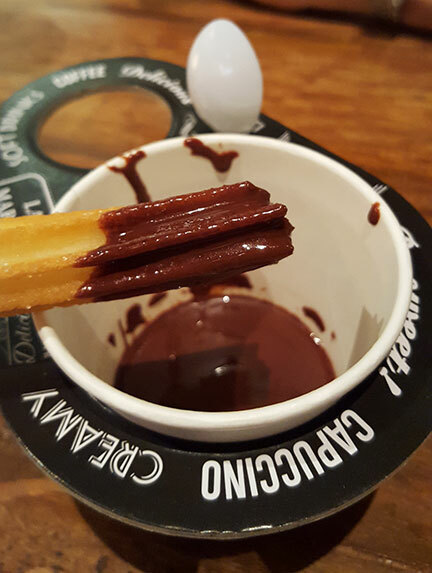 While they make the traditional churros con chocolate, they offer stuffed versions of the churros as well as chocolate dipped ones. 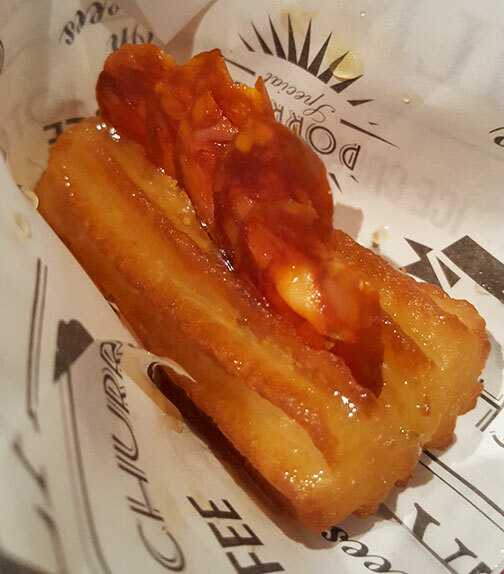 I have a sad photo of their savory churro with slices of chorizo with a drizzle of honey. Bad photo, delicious churro combination. Part of me wishes they bring a La Maripili branch to the north, but I think it’s good that they’re far enough not to eat too often. It’ll definitely be a new pit stop in the area. Lucky you, Alabangers!